Embark on a truly unique Eastern Canada winter wonderland experience. 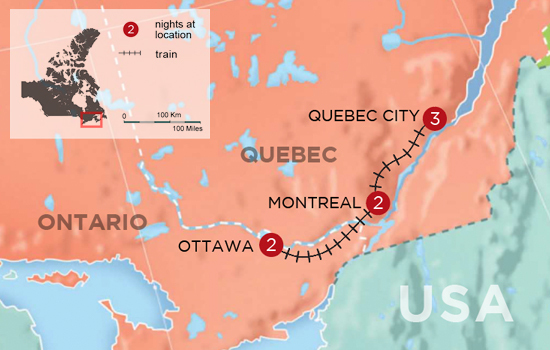 Journey by train across the snowy Quebec and Ontario countryside to visit historic Quebec City, eclectic Montreal, and Canada’s charming nation’s capital. Cultural tours, winter activities, and great food are highlights of this vacation. Day 1 – Your Canadian Winter Adventure Begins in Quebec! Quebec City is one of the oldest cities in Canada – once fought over by the French and English in the early days of Canadian history. When you arrive in Quebec City you will almost feel like you have arrived in Europe, as the snow-covered cobbled streets and stone buildings have an old-world atmosphere. Admire the mountains on the horizon, peruse lovely local shops and galleries and discover Quebec City’s charms. Spend a full day discovering the beauty of Quebec City in winter, with its French-Canadian culture. Marvel at the beautiful architecture of the fortified city, visit historic sites commemorating the battles between French and English, and discover the many warm and cozy local shops and galleries. Relax in the comfort and convenience of a vehicle with your local private tour guide. At Fresh Tracks Canada, we pride ourselves on finding the best local guides so you have the most memorable and informative experience. Witness history first hand – and hit all the top spots including the Chateau Frontenac, the Latin Quarter, Ramparts, and the Plains of Abraham. Discover the food culture of Quebec from a local’s perspective. Sip wine, savor the aroma of fresh baked baguettes, and sample gourmet cheese. 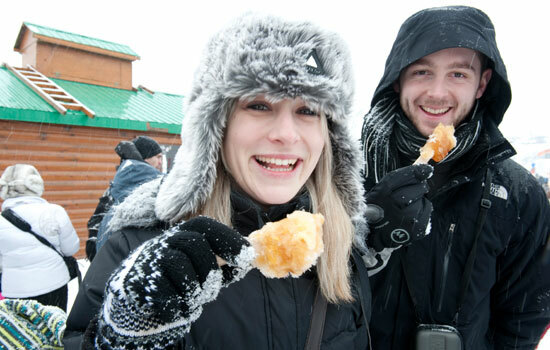 Taste the local specialties – traditional Quebec cuisine, French Bistros, chocolate factories, poutine, and crêpes. Stop at 7 different venues and samples around 15 products. Stretch your legs on this walking tour of Quebec, this tour covers all the must-see sights in Old Quebec. The tour follows a leisurely downhill route and takes in the Citadel, the Chateau Frontenac, the Quebec Fortifications, and Place Royale. Quebec City is truly a winter wonderland. With Christmas Markets decorated with enchanting snow-covered lights in the holiday season, to the world’s biggest winter carnival, Quebec City is a world class destination throughout the entire winter season. “Wow!” This is what two Fresh Trackers said when they stepped into this Ice Palace. A winter palace built in ice and snow, with uniquely themed rooms, an Ice Cocktail Bar and Sugar Shacks! Make and eat maple taffy, a Quebecois delicacy made by pouring piping hot Maple syrup into snow and rolling it up into a tasty morsel. Your photos and memories made at this winter wonderland will be yours to treasure for a lifetime. On this true winter experience learn how to handle a dog sled and mush on your own. Located only 30 minutes from Quebec City, discover the winter paradise of the Jacques-Cartier Valley. Spend time meeting the dog pack before enjoying 1.5 hours on the trails. Stay warm and cozy with roundtrip transportation right from your hotel. 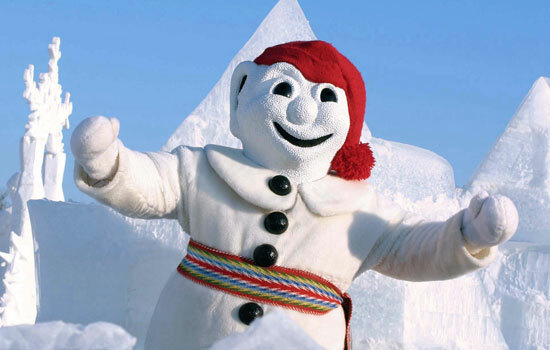 Insider tip: Every year in February Quebec City holds the Quebec Winter Carnival. Make sure you do not miss out on any special events by having your Vacation Advisor plan your trip around the festival. Later this morning, enjoy a private transfer to the train station. Meals are served on the train to Montreal while travelling in Business Class. The snowy vistas provide a stunning sight as you pass through some of the prettiest countryside in French Canada. This 3-hour route takes you along the northern shore of the St Lawrence River, past charming Cap-de-la-Madeline and historic Trois-Rivieres. Arrive in Montreal refreshed after a relaxing train journey and enjoy the rest of the day exploring the many amazing sights the city has to offer. Staying in such a food centric city, we wanted to give you a chance to sample some of the best cuisine. We have selected one of our favorite restaurants for you in Montreal. With a menu created with a certain ‘French flair’, enjoy a showcase of the finest, freshest, regional products. A tour that ensures you see as much as possible of Montreal from the comfort and convenience of a vehicle. Journey through the Old Town and historic heart of the city and then onto downtown with its hustle, bustle and towering skyscrapers. Venture past the Old Port, Bonsecours Market, and head up to Mont Royal Park, a unique oasis in the middle of the city. You will hit all the scenic spots to take the perfect photo. This tour captures it all! Enjoy a variety of delicious offerings on this tour which compliment your exploration of the Old Town. This food tour slightly differs from the norm in that it is not about famous chefs and on trend restaurants, rather it is a lens into the Montreal’s varied food traditions. Influenced by, among others, indigenous culture and Expo 67. Hear historical anecdotes and spot unique street murals and architecture along the way. Explore the winding cobblestone streets of Old Montreal on a privately guided walking tour. Travel back in time to Fort Ville-Marie in 1642, to today’s modern city of Montreal. Over the Christmas period, your guide can highlight some of the special holiday touches – learn about traditional New France Christmas customs, and see some of the wonderful light displays. A private transfer takes you to the train station where you board the train to Ottawa. Enjoy the snowy vistas glide by the train window as you nestle into your comfortable seat. Welcome to the capital of Canada! Don’t let the assumption that this is a bureaucratic government town fool you – Ottawa is a hub for culture and history and has a definite hidden flair! Home to seven national museums that recount the tales of Canada’s colorful past, a thriving restaurant scene, and plenty of stunning historic buildings to explore. Ottawa has an abundance of attractions no matter the time of year! Spend the rest of the day in Ottawa at your leisure. Skate along the Rideau Canal (weather dependent) while indulging in a hot chocolate (you can’t get more Canadian than that!) or head to Byward Market for souvenirs. 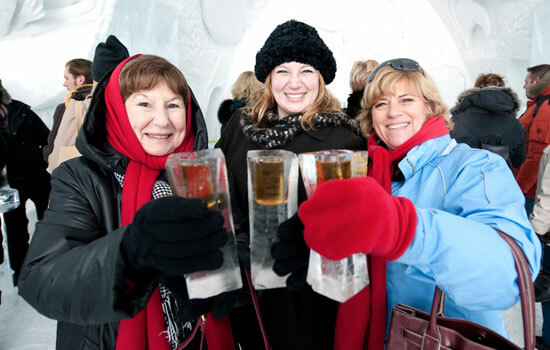 Insider tip: Choose to visit the Capital over one of the weekends at the beginning of February for the annual Winterlude Fesitval that the city holds. Ask your Vacation Advisor for more details for all the activities that the festival offers. Ottawa has so much to explore including impressive museums – the National Gallery of Canada is home to a permanent Canadian collection and often features exhibitions by Canadian artists. With a local Ottawan as your guide, enjoy an immersive tour full of anecdotes only a local would know. This tour visits the top sights in Ottawa, including Parliament Hill, and then onto Rockcliffe via the Ceremonial Route. See official government residences, Rideau Hall, an experimental farm with arboretum and ornamental gardens. This tour is fully customizable to your interests – from photography to food, your guide will show you the best in Ottawa. The best way to explore a city is through its culinary scene! Discover little known spots in the city’s most historic district and meet quirky local business owners. Of course, you get to sample delicious offerings along the way so bring an appetite! You may want to revisit some of your favorite new spots for dinner. Visit the historical highlights of Ottawa’s downtown core. Stretch your legs and learn all about the French, Irish and English history of Ottawa. This guided tour takes in all the top spots including Parliament Hill, the National War Memorial, Sparks Street, the Fairmont Chateau Laurier and the Byward Market. Sadly, your vacation is at an end but not without fond memories made to savor for a lifetime. A private driver will take you from your hotel directly to the airport. You'll be staying at various local three to five star hotels or lodges along your route, some of which are very iconic properties with great locations, views and history. All our accommodations are carefully selected by our Canadian Insiders. We'll make sure that wherever you stay, you get the best value and comfort based on the seasonal availability. • Any trip falling over Dec 15, 2018–Jan 1, 2019 may have limited tour options as some activities may not run every day over the Christmas period. • Choose to substitute your tour in Quebec for the German Christmas Market tour for trips leaving in Nov 23–Dec 23, 2018 *ask your Vacation Advisor for more details if interested. • Ice Hotel Visits only available on Jan 1–March 22, 2019 departures. • Skating on the Rideau Canal is likely to be available on Jan 10–Feb 17, 2019 departures based on historical opening trends. • Quebec City Carnival runs from February 8–17, 2019 (weekends in Quebec City are the best). 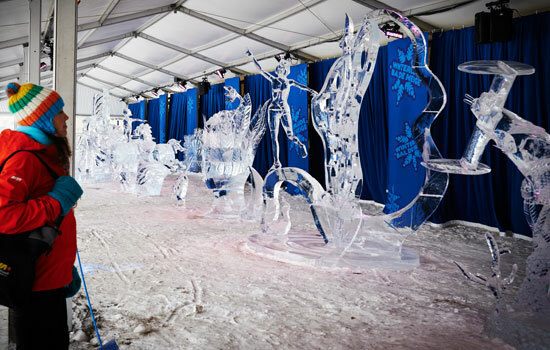 • Winterlude event in Ottawa runs every weekend between February 1–18, 2019. • The Quebec Dog Sledding Adventure (optional upgrade) has a max sled weight of 350lbs with 2 people per sled. • Add nights at Le Baluchon Eco Resort, where relaxation, gastronomy and adventure are the order of the day! Note: 2020 departures are available. Some itinerary variations may apply. Our Comfort Level vacations include our favorite 3 star hotels, in great locations. Combined with our unique sightseeing tours and personalized service, you’ll receive exceptional value, a step above what you might expect anywhere else. The cozy Auberge Bonaparte is a charmingly historic inn, nestled in Old Montreal. Along with an award winning French restaurant, guests can enjoy sunny summer days or moonlit nights on the rooftop terrace. A full complimentary breakfast at the restaurant is included in your stay here (or continental breakfast if guests choose to eat in their room). It takes a special hotel to equal Montreal's unique urban sophistication and charm, and that's exactly what the 4.5 star Hotel Place d'Armes is. Luxury and exceptional service are the rule at this gem nestled among the lovely cobbled streets of Old Montreal. Here, you'll discover three centuries of history, boutiques and art galleries as well as fine dining and vibrant nightlife. This deluxe landmark chateau-style hotel is located within the walled city of Old Quebec. To enjoy views of the St. Lawrence River, upgrade to a deluxe view room. The hotel offers 3 restaurants, 2 lounges, a pool with whirlpool, fitness room, steam bath, spa, and shops. 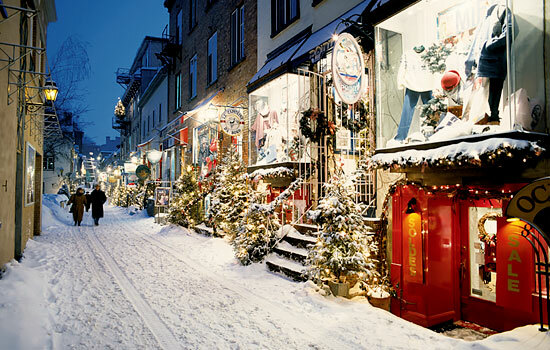 Discover the beautiful winter wonderland of Quebec as you explore on your choice of guided tours. Enjoy a cocktail inside the amazing ice hotel. Ask your vacation advisor to arrange your trip during Quebec City's famous Carnaval Festival! 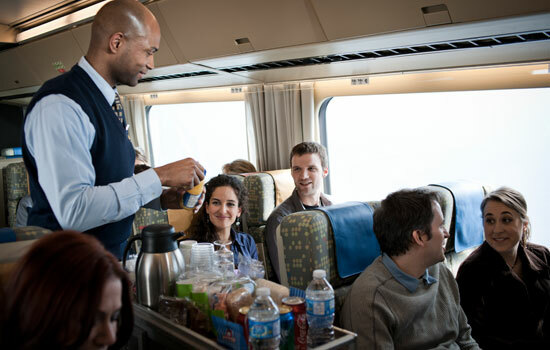 Enjoy the service on board VIA Rail with complimentary drinks and snacks. Rideau Canal in winter, Ottawa. 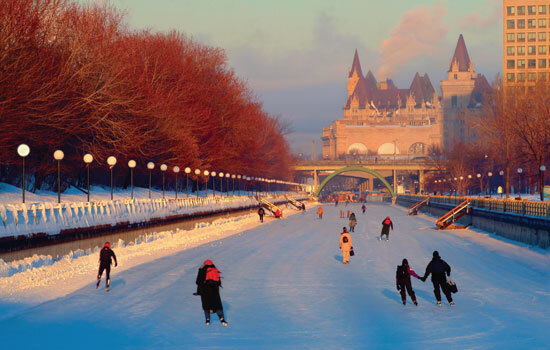 Glide along the Rideau Canal on skates - wintertime in eastern Canada is truly magical. Explore the city of Ottawa on a delicious Culinary Adventure. Take in the amazing sights at Ottawa's Winterfest.